A new survey from real estate listing service Trulia revealed that 59 percent of renters aspire to be homeowners, but there are six core issues holding them back. Let’s take a closer look at what they are, and what you can do to overcome them if you want to make the transition from renter to homeowner. This is the biggest obstacle for prospective homeowners. It always has been and probably always will be. The dreaded down payment. But what many may not realize is that you can still buy a home for as little as 3.5% down with an FHA loan. Or if you buy a Homepath property via Fannie Mae, you can come in with as little as 3% down, all while avoiding mortgage insurance. And there’s now an even broader 3% down option offered by both Fannie Mae and Freddie Mac that allows just about any home to be purchased with that small a down payment. So there are certainly plenty of options if you don’t have a ton of assets. There are even no money down options in some “rural” parts of the country thanks to USDA home loans, and of course VA loans that require nothing down for veterans and their families. If you don’t qualify for those programs, all is not lost. You may be able to borrow the money from a family member to meet the minimum down payment requirement. This is known as a gift and will allow you to circumvent the issue as long as someone is willing to help you out. The second biggest roadblock is actually qualifying for a mortgage. This is why I stress preparation so much on this blog. You can never be too prepared, and it can takes months or even years to get all your ducks in a row. This means getting your income, assets, and employment information together long before applying for a loan. In other words, holding a steady job for two years or longer, seasoning the assets you plan to use in your bank account (not your mattress) for several months, and getting pre-approved for a mortgage so you know what mortgage amount you can actually obtain. And finally, making sure your credit scores are all in great shape. Along these same lines, you need pristine credit to ensure you qualify for a mortgage at the lowest interest rate. In fact, without a great credit score, your inflated mortgage rate alone could make you ineligible for financing. While there are mortgage options for those with low credit scores, you’ll be much better off it you apply for a mortgage with an excellent credit score. Not only will you have a much easier time qualifying, you’ll also save a ton of money in interest over the years. There’s no reason to cut corners unless you absolutely must get a mortgage immediately. 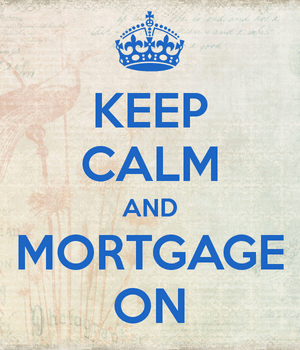 Take the time to fix what’s wrong so you can save money on your mortgage year in and year out. Another mortgage killer is existing debt. If you’ve got a ton of credit card debt, car loans or leases, and who knows what else, it’ll work against you when applying for a mortgage. Mortgage lenders use a measure called the debt-to-income ratio to determine how large of a housing payment you can handle. Put simply, the more existing debt you have, the less you’ll be able to borrow for your mortgage. So pay down/off what you can before applying for a mortgage without exhausting your assets. Two prospective borrowers making the same exact salary could qualify for totally different maximum loan amounts based on the outstanding debt they have. This should also give your credit scores a boost, so you actually get two benefits for the price of one! In short, the less debt you’ve already got, the more you can take on, which translates to being able to afford more house. As mentioned earlier, a stable job is very important for mortgage qualification purposes, and also plain confidence in knowing you’ll be able to keep making your mortgage payments for the next 30-some odd years. Without a job you can count on, it’d be a foolish decision to purchase a home. After all, you certainly don’t want a foreclosure on your record. The general requirement is at least two years of steady employment, meaning no gaps during that time. Also, you’ll want to ensure any position changes are in the same industry, or at least make sense. If you go from being a doctor to a real estate agent, the underwriter likely won’t feel confident in your ability to make a steady income unless you’ve been at it a couple years. Any major changes in employment will be scrutinized and may also require a letter of explanation, depending on what transpired. Lastly, there’s the issue of declining home prices. Yeah, it can be pretty scary to see your main “investment” lose value. But when it comes down to it, a home is a home first, and an investment second. Is it a good time to buy right now? That’s debatable. Mortgage rates are certainly at their lowest levels in history, which makes it attractive to carry a mortgage. But do home prices still have some more downward pressure? Absolutely. I wouldn’t be surprised if they fell more. Interestingly, home prices don’t necessarily go down when interest rates rise. In the past, rates and prices have risen together. So now might be a decent time to get a low rate and a home for a discount. All that being said, I wouldn’t say there is a rush to buy a home, but now could be the perfect time to get your finances in order for a possible purchase next year. Interest rates should remain low for a fair period of time, and if home values slip a bit lower, it could be an ideal time to become a first-time homeowner. How about home prices? The article covers all the talking points but never mentions at anytime that in some areas of the country home prices are still in bubble territory. Based on historical norms the average salary for any region can afford to buy the average home.